Enter this book giveaway to grab an advanced reader copy of Ancient Nine by Ian Smith. A great thriller set in a Harvard fraternity in the 1980s. Giveaway begins September 21, 2018 at 12:01 A.M. PDT and ends September 28, 2018, at 11:59 P.M. PDT. Winners will be selected at random on or about September 29, 2018. I’d love to win because I need a new thriller. Looks like a terrific mystery. Count me in! I want to win this book because it sounds so interesting! I want to win this book because it sounds like a fun read. Thanks for the giveaway! I love a good thriller/mystery! I want to read this book because it sounds thrilling! I love “edge of my seat” thrillers! 🙂 Thank you. 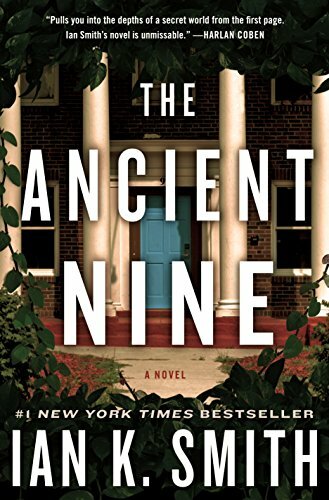 I love thrillers, and I am excited to read The Ancient Nine. The Ancient Nine looks very exciting.